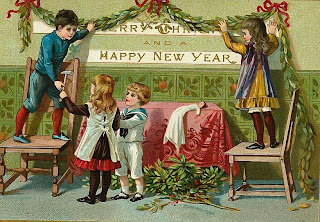 Lunagirl Moonbeams by Lunagirl Vintage Images: Happy New Year Moonday Free Image! Best Wishes for 2009! Here's to a happy, healthy, and prosperous year for everybody.